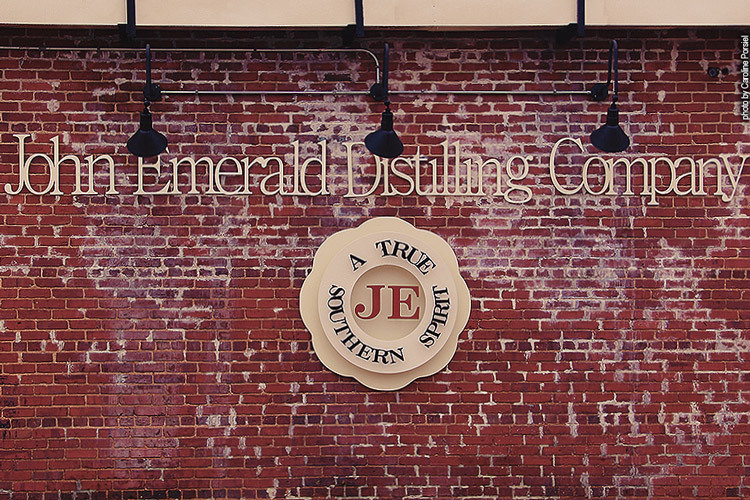 Downtown Opelika is Alabama’s second legal distillery since Prohibition: John Emerald Distilling Company opened its gates in early 2014. Jimmy Sharp and his father John Sharp are two distillilng entrepreneurs who started their family-business in Opelika, Alabama. Opelika’s interesting name derives from the Muskogee language meaning “large swamp” despite its remote location the small town close to Auburn in Alabama grew into a small commercial center with the building of the railroads back in 1851. 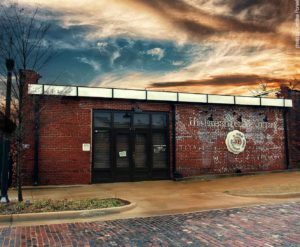 Today, one of the highlights visiting the city is John Emerald Distilling in the old Penn Montgomery Cotton Warehouses located close to those railroads and Opelika’s small center. Jimmy Sharp and his father, John, were hobby beer brewers before they decided to start a distillery. They trained for two years and opened their family-owned operation in Opelika in early 2014. The distillery is named after Jimmy’s grandfather, and all family members’ first names are honored in their spirits. John Emeralds signature product is a handcrafted blended whiskey with local flavors of pecan and peach aged in small barrels. And, John Emerald whiskey does taste different than “classic” whiskeys being neither a scotch nor a bourbon but an “Alabama-style” whiskey named after Jimmy’s grandfather, John Emerald Sharp. The Distillery offers tours as well as a full bar for tastings week round. Besides their single-malt whiskey they produce a collection of Gin, Rum and Spiced Rum.